Hey Polishers!, It's time for the weekend! Do you have any special plans? I don't but I'm excited because Wednesday was my last mid-term so now I 'm on study week until the first week of November! YES! Lol. On another note, can you believe that it's almost NOVEMBER already? I can't. Like I feel like I'm standing still and the time is just leaving me behind lol. 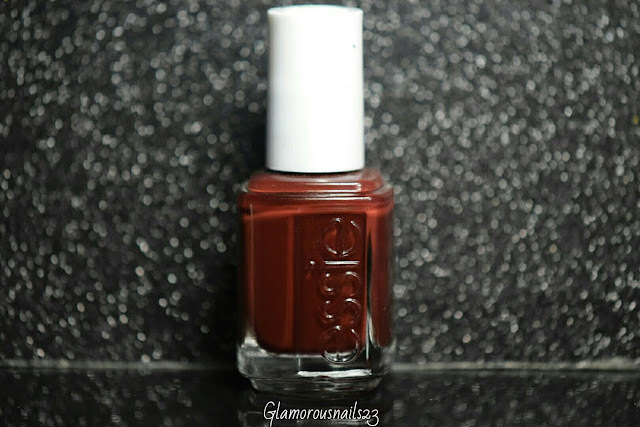 Today I have this vampy shade from Essie polish to share with you. So let's get started! Chocolate Kisses is a red based brown creme polish. This is such a vampy shade for the up coming months and I love it. The formula on this was just okay for me. The first coat was sheer and with the second coat I could see some bald spots. By the third coat this polish was fully opaque. Chocolate Kisses is smooth and dried fast. I'm really loving this color. Supposedly this polish also goes by another name called Chocolate Cakes. Shown is three thin coats with a top coat. 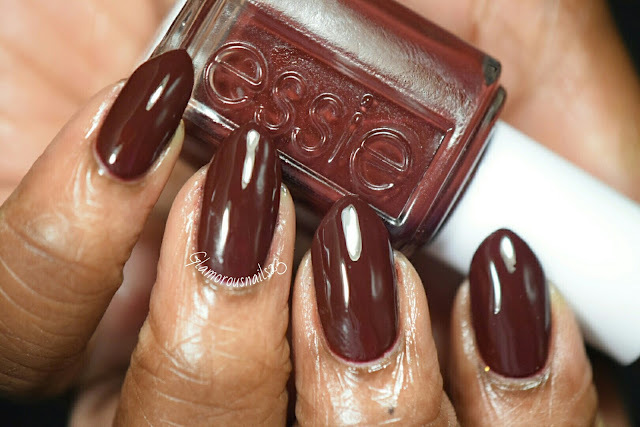 Essie polishes can be found at your local Wal-Mart, Rexall, Shoppers Drug Mart, Salon, and they usually retail for about $8.00-$9.00. 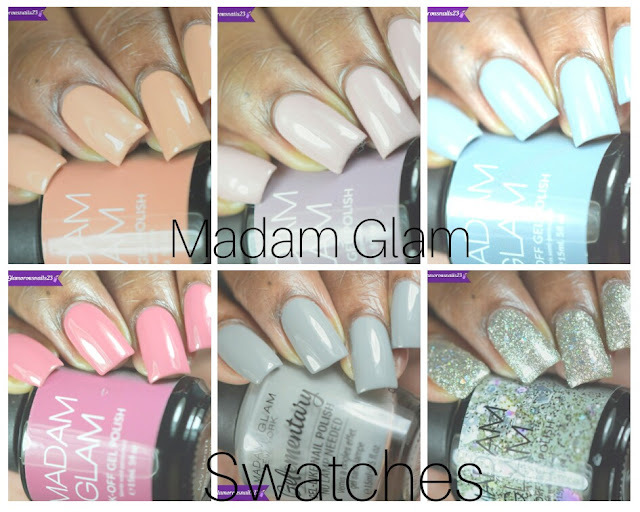 What do you think about this polish? Is this a color that you would wear? 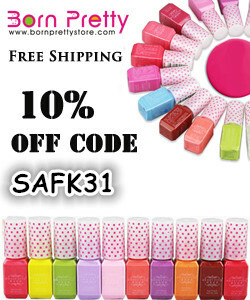 Do you like Essie polishes? 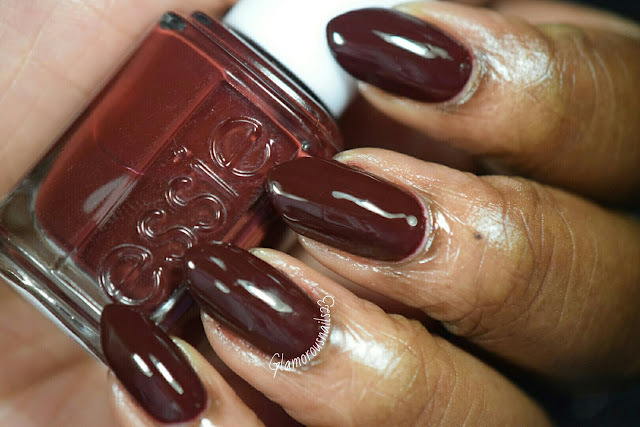 Let's chat Essie down below!